This pup doing its thing near the waterfront (better a stick than your furniture). In Oakland, Mosswood Dog Park (3612 Webster St.) and Grove Shafter Park (3630 Martin Luther King Jr. Way) are two centrally located places to let the pooch do his or her thing. Both parks have big and small pens, but Mosswood is clearly the favorite of the two, what with its more picturesque urban-park setting. Farther north in Berkeley is where the dogs get the sweet digs. Ohlone Doggy Park (1800 Hearst Ave., OhloneDogPark.org) even has a website and is consistently cited as one of the raddest parks in the country. Pretty sweet. And, of course, there's César Chávez Dog Park (11 Spinnaker Way), with its grand views of the bay and San Francisco. These places are so legendary, it's probably a bad idea to take your dog to them often. Don't want them feeling too entitled. 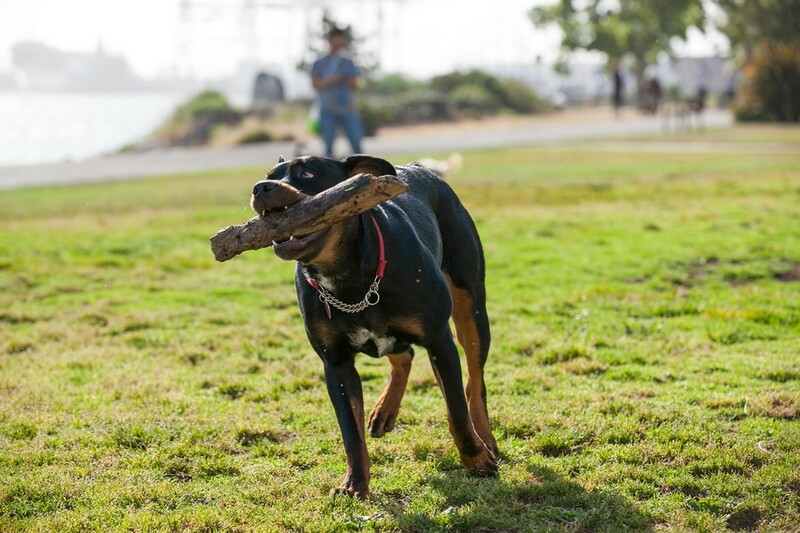 The Alameda Dog Park (at the west end of Eighth Street) is a few steps from the beach, but is a humbler gathering than its Berkeley counterparts. Mostly dirt and sand but with some stretches of grass on the small-dog side, this island getaway for our pawed friends is more functional than fantastic voyage. If you're farther south near Hayward or San Leandro, the Old Creek Dog Park of Cherrywood (400 Hampton Road) is a clean, spacious, and fenced spot for big and small dogs to roam. There's also plenty of seating, which is practically requisite after a long day on the job. 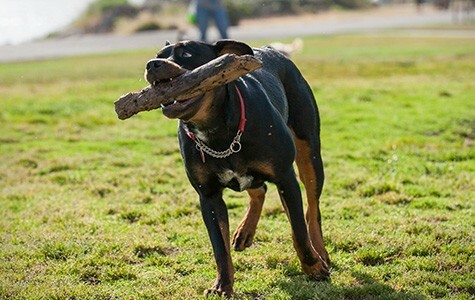 And if you're on the north side, Point Isabel Dog Park (2701 Isabel St., Richmond) boasts a sprawling shoreline area for the little guys, and big dogs, too. Oh, and Mudpuppy's Tub and Scrub (same location, 510-559-8899, Mudpuppys.com) is right next to the park, so your pet can do their grooming or bathing after covering themselves in grime while off-leash. And then back to your new, tinier, more expensive abode. Ruff.